Thunderstorms – where the experience of deafening thunder met with jolting lighting is enough to make any grown man or woman sink a little deeper underneath the covers. When it comes to thunderstorms, we like to find comfort in knowing that our home is a safe haven from all the potentially disastrous elements outside. But how safe is your house really? 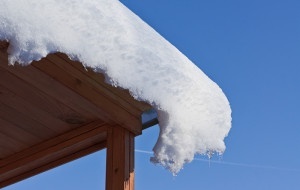 More importantly, how reliable is your roofing? Below we’ve listed some of the best roofs for harsh weather conditions, based on durability, longevity, and their ability to resist serious impact. Metal Roofs – metal roofs are highly favored all around. When it comes to cost-effective standards like longevity, metal roofs take the cake with maximum life span being upwards of 100 years. Metal roofs are also ideal roofs for harsh weather conditions because they meet UL standards for wind, fire, water, and damage resistance. Some metal roofs can provide warmer indoor conditions, combat brutal cold weather elements, and are impenetrable by liquid. Metal roofs can be a bit pricey, but they are recognized across all boards as being a worthwhile investment. Asphalt shingle roofs – Asphalt shingles provide some of the best roofs for harsh weather conditions, especially for areas in which hail, wind, and heavy storms are known to take place. Asphalt shingles come ingrained with small pellet-like granules that cover the each shingle from top to bottom. These granules provide a protective layer against rough outdoor elements and adds to the longevity of the shingle. Asphalt shingle roofs have become extremely popular throughout the country, due to their durability and reasonable pricing. EPDM (ethylene propylene diene monomer rubber) are responsible for some of the best roofs for harsh weather conditions. Synthetic-rubber-made roofs have also tested high for having a high resistance for fire, wind, and cold weather-related elements. Rubber membrane roofs are extremely temperature sensitive and are an expensive hassle to install during winter season. Synthetic rubber roofs require large amounts of adhesive and can only be installed in high temperatures. Not sure where to start with your roofing project? Baurele Roofing Indianapolis prides itself on having all the right answers. Give us a call – 317-985-2344.